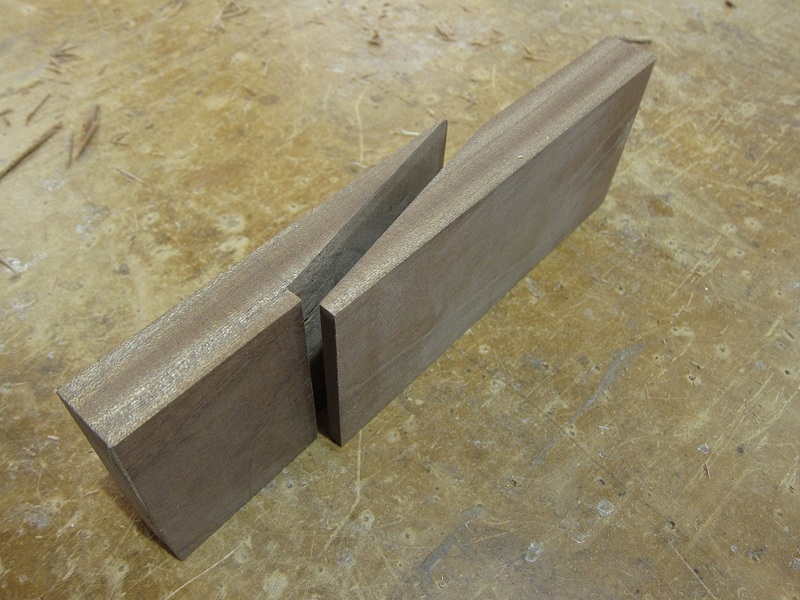 The last week was mainly a tale of 2 joints: scarphs and dovetails. 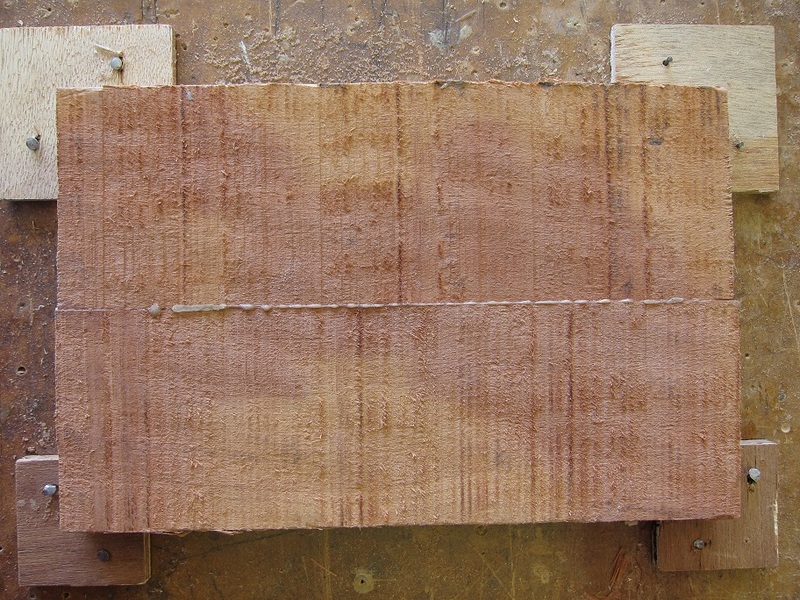 We’ve been working on two types of scarph that could be used in a boat’s keel; the table scarph and the hooked scarph. These joints are used as they have longitudinal strength in compression and tension, which is essential for joints along the centreline of the boat. 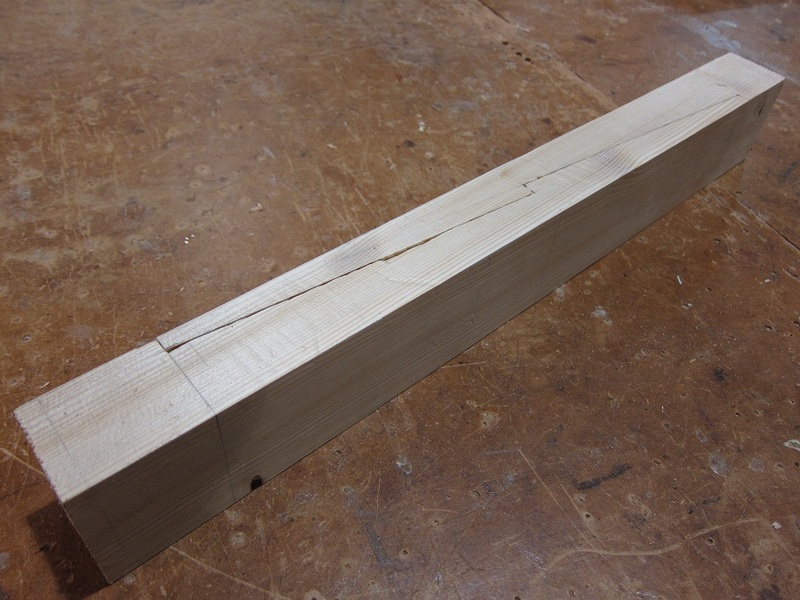 The table scarph is essentially a lipped scarph with a channel cut across it in which is fitted a small piece of wood of square section (called a table) which gives the joint it’s longitudinal strength. The table is craftily placed with the grain running across the joint, which has the advantage that if it gets wet, it expands along the channel, wedging itself even more firmly in. I found it harder to make the hooked scarph as it can’t be planed very easily in the rebated section above the hook, so it involved lots of chiselling, which is harder work and it looked less tidy when it was done; bearing the scars of a few near misses with the chisel. 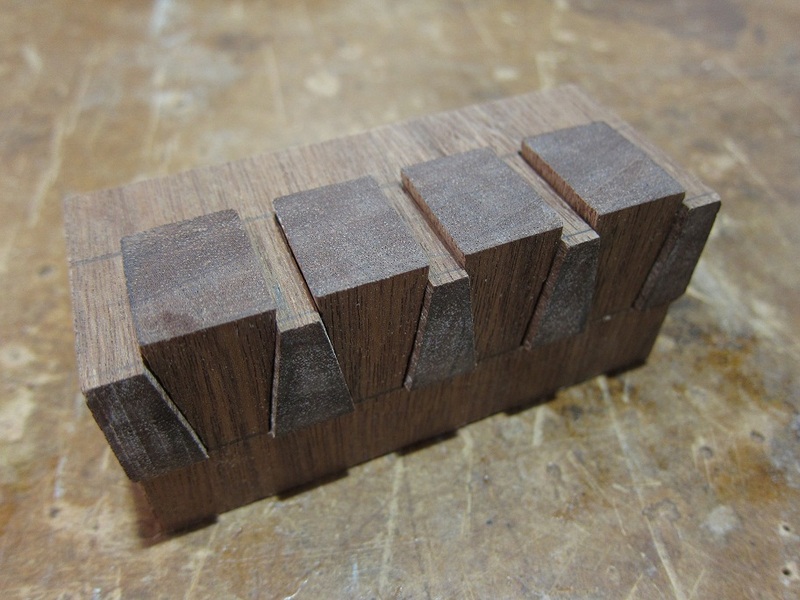 I thought it would be plain sailing when it came to making dovetail joints as I’ve done a few before for various projects at home. Unfortunately, this previous experience doesn’t seem to have counted for much, I still spent hours on end fine tuning my tails so that they fitted together precisely enough. “I presume it goes in at a right angle” said Jon the tutor of one attempt; followed by “It’s quite a flexible joint”. I don’t think that was a compliment. 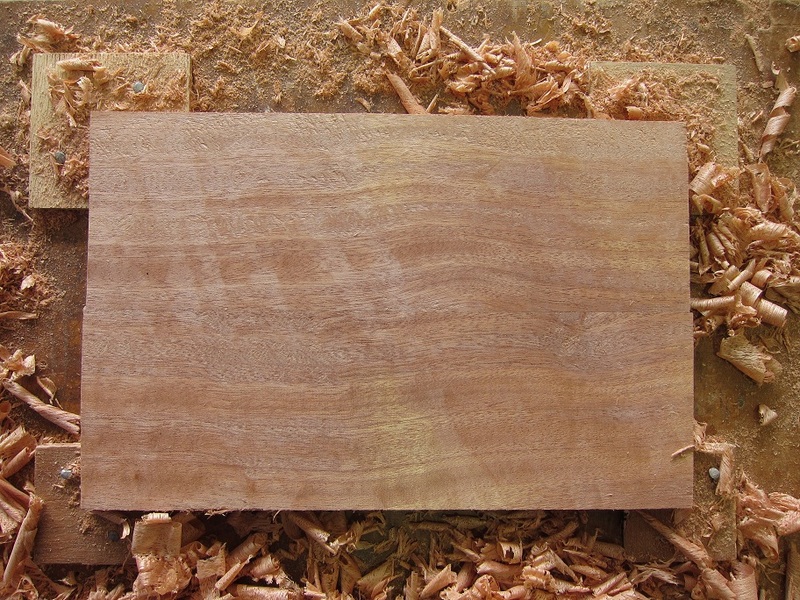 Anyway, it’s all good preparation for the first big project, a mahogany tool chest. Hopefully I’ll be able to start on that in the next day or so. That will keep me busy for a few weeks. 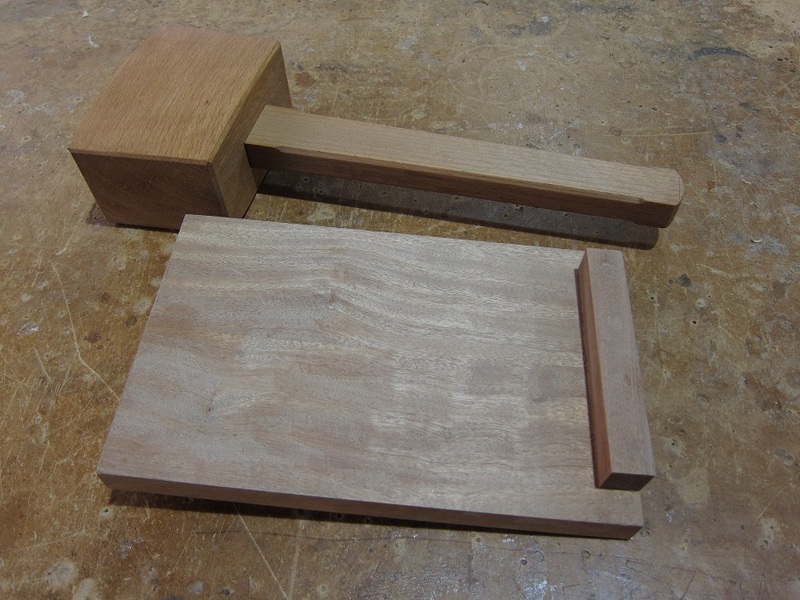 I’ve finished my bench hook and mallet at last. I’m not sure how much a mallet would cost down at B&Q, but I’m sure I couldn’t live on it at my current work rate. Although I know all the things that are wrong with it due to my beginner’s errors, it looks great now that it’s finished. It’s made of beech and as it’s a working tool it’s finished in boiled linseed oil, which soaks into the pores in the wood and hardens there rather than laying on the surface as varnish would, so it gives it some protection when it’s being bashed around; which I’m sure it will be. 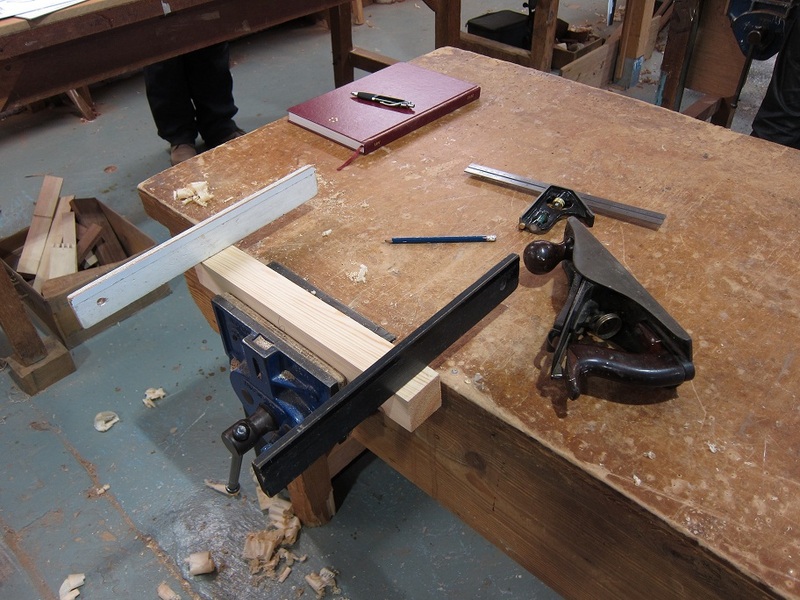 We’ve started to settle into a routine in the joinery workshop. Our insular quests for perfection at our workbenches are punctuated by a morning break, 30 minutes for lunch and an afternoon break, during which we can relax and talk to each other; eventually. It takes a while to break out of our private worlds and start to engage with the real one. But then we start to talk and realise that we are asking ourselves the same questions. How flat is flat? was the question someone raised in one of the breaks today; and it was a question I’d certainly been asking myself. More flat than we realised, as it turns out. We’ve started on two of our first real projects, which involve making some of the tools that we will go on to use for future projects. 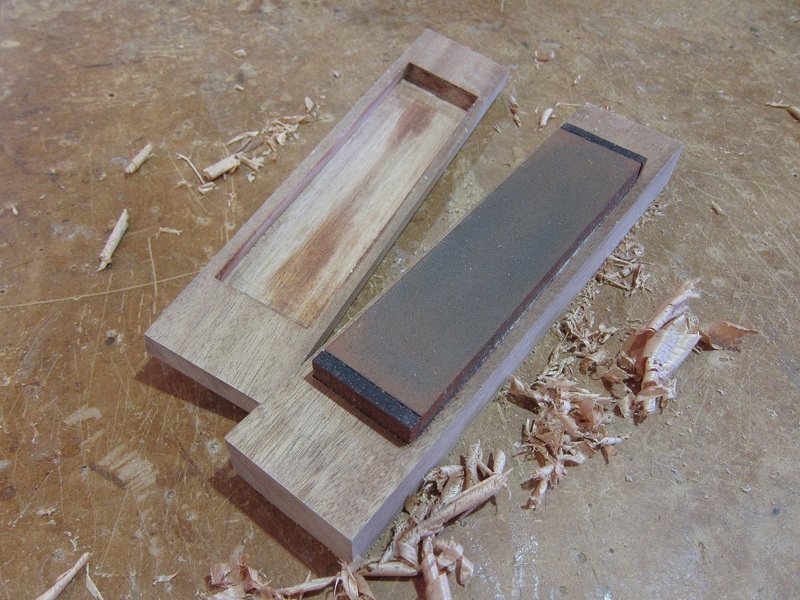 These are a bench hook (remember those from woodwork lessons?) 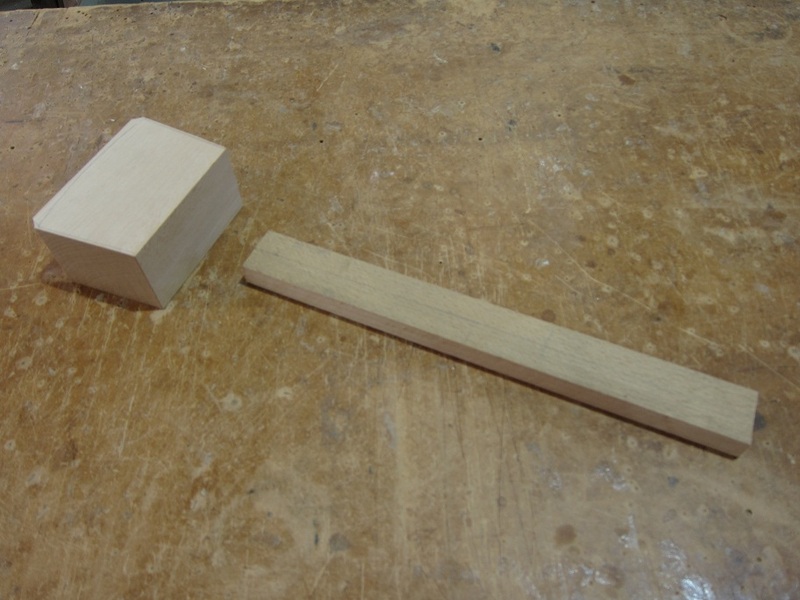 and a beech mallet. 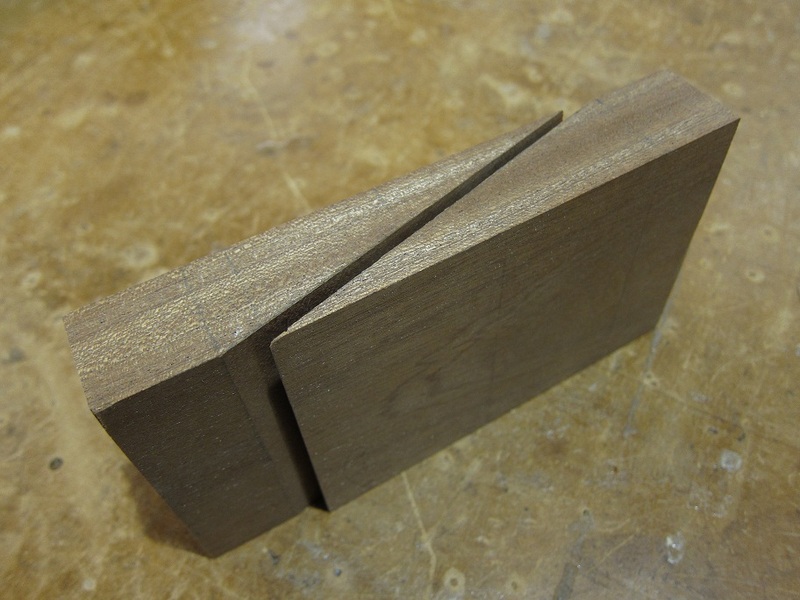 The bench hook prompted the question in the title. 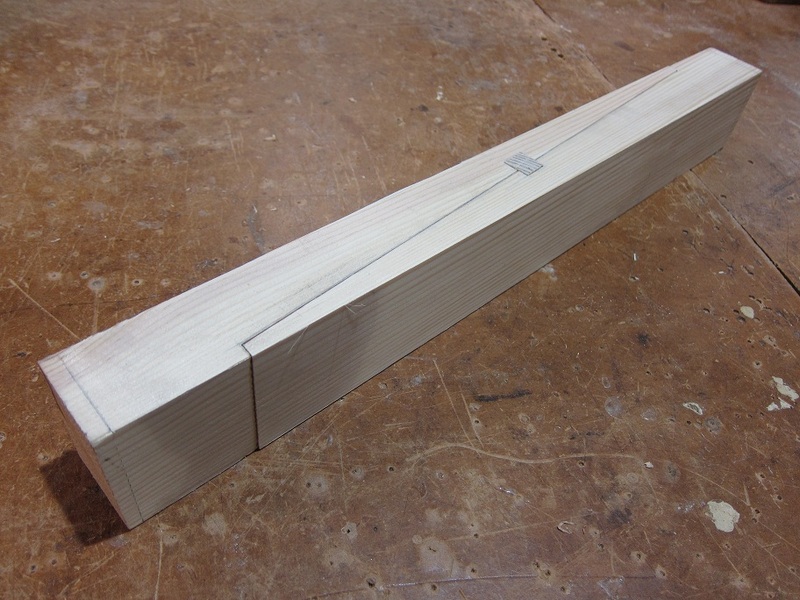 A bench hook basically consists of 3 bits of wood, a flat piece and two short pieces of square section. To look at it, one would think that it could be knocked together in less than an hour. Not this one. We started with a rough plank of mahogany and have spent the last 2 days cutting it up, gluing it together and finessing it to a state of rectilinearity. We plane and plane until we think it’s as flat as flat can possibly be, then along comes Ian with his try square, holds it up to the light, and points out all the imperfections that we’ve missed. Our flat surface becomes a relief map, a landscape of hills and valleys that must be flattened. Back we go to the vice and plane away, creating even more varied landscapes in the process. In case we are in any doubt about what is required; when we look up, we are reminded by signs which glare down at us with instructive messages such as: ‘Perfection is the only standard worth aiming at’. Why does this remind me of Zen And The Art Of Motorcycle Maintenance? Well the first day went quickly. No messing around, a quick introduction and we were sharpening our blades, planing a true edge on some pine and mahogany and cutting a recess to join them together. I learned how to plane with the grain (I was never quite sure what I was looking for before), and the essentials of blade sharpening. If we can keep this pace going I’ll be building boats in no time. In fact it will be about 12 weeks time, all being well, that we’ll be able to graduate from the joinery workshop to the boat shed and have our first taste of real boat-building.